Hello there & welcome back to your fortnightly fix of gizmos, gadgets and brand-spanking-new technology. Today we’ll be taking a closer look at some of the gadgets on show at Tokyo’s week-long wearable technology expo, checking out some Wallace & Gromit-esque motorized rollerskates and getting a sneak peek at the unreleased iPad Pro. Tokyo’s wearable technology expo gets bigger, better and barmier every single year. 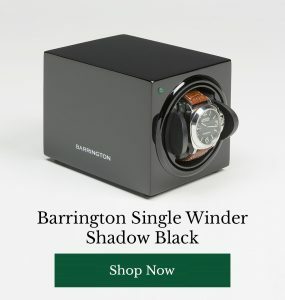 In 2015, much of the fuss is about the Brother AiRScouter, a head-mounted screen that superimposes images, text and video onto your field of vision. 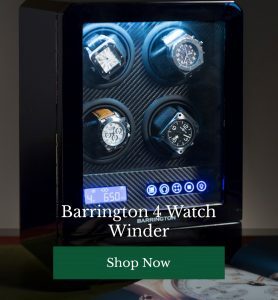 This surprisingly naff promotional video showcases the device’s potential applications in manufacturing, but at the consumer end of the market, watching TV and movies while out and about is one of the biggest potential draws. If like French inventor Paul Chavand, you too wish that your city was paved with airport travelators to hasten your progress, you’re probably going to love his new invention: The Rollker. Rollkers are effectively motorised, stabilised rollerskates which you use by walking, not skating. The finished prototype is either complete genius or complete craziness – we can’t decide. The one thing we do know is that we really want a go! 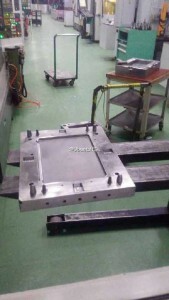 A leaked photograph from a manufacturing facility in China suggests that the long-awaited iPad Pro is finally in production and could be one of the biggest tablets in Apple’s collection to date. 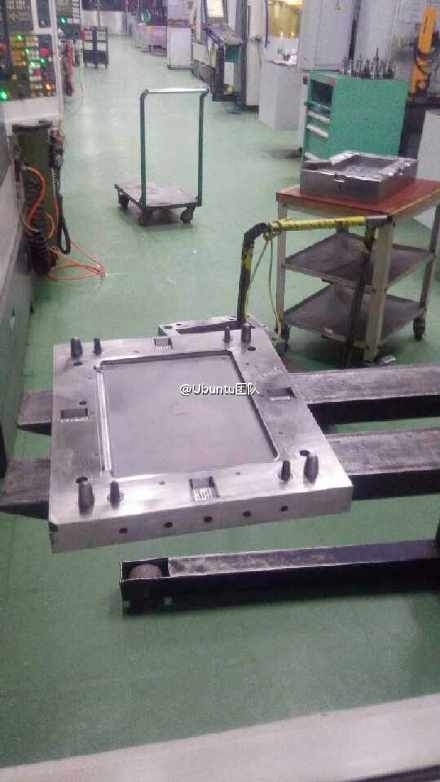 Initially rumored to be around 12.9” this photograph (which appears to depict a mould for the gadget’s rear casing ) suggests that the finished product will be between 12-13”. As for the new business-focussed tablet’s functionality and usability – well you’re just going to have to wait to find out! Rollkers – genius or insanity? And are you excited to see what the iPad Pro has in store for corporate users? Share your predictions and opinions with other tech-heads below.